Creating an Upload Property for Your Logs - How to do it! 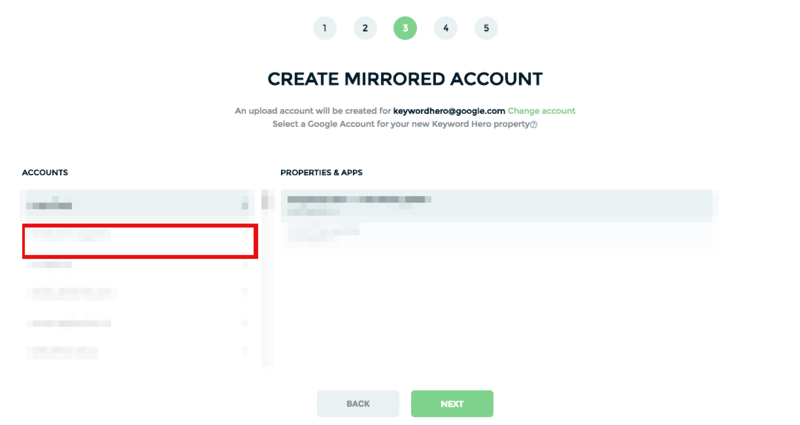 Log Hero will create a new property in your Google Analytics account, that will contain all visits of bots and crawlers and humans and lots of new dimensions, so you can make sense of those bots. 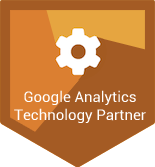 You have to give the Hero access to the Google Analytics Management API, so he can create a new property for you. However, he’ll only be able to do so if you have at least edit permissions on the account level. If you don’t have them, Log Hero will tell you so. How do I get edit permissions? If you don’t have them, you should to the owner of the GA account. This is mostly your GA administrator. If you are the owner, you can just give them yourself. 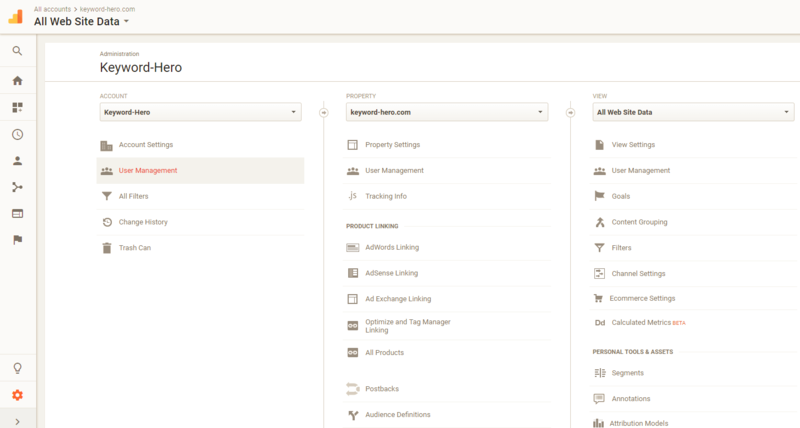 Select “User Management” in the leftmost column. Give yourself (or someone else) edit permissions. But I already have edit permissions? With almost 100% certainty you only have edit permissions for the property. In Admin, click on the leftmost “ACCOUNT” column and check there, whether you have them at the account level. 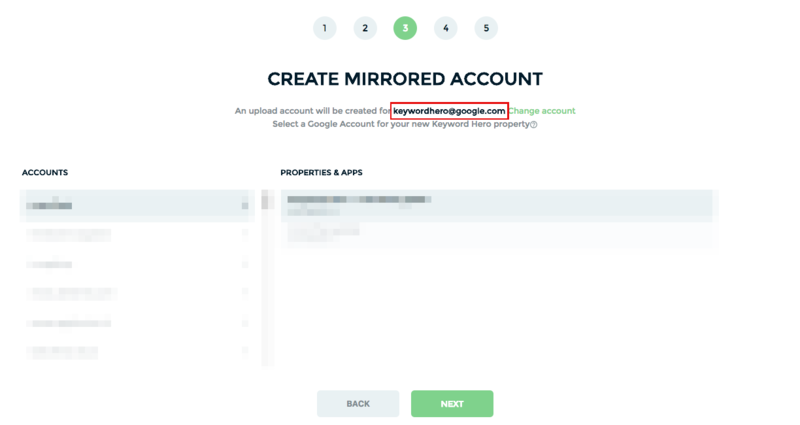 In case you actually do and in the Keyword Hero app, you still see that you don’t have them, please refresh your browser. If you still get the message, please write us an email: support@log-hero.com. I can’t get edit permissions. What can I do? 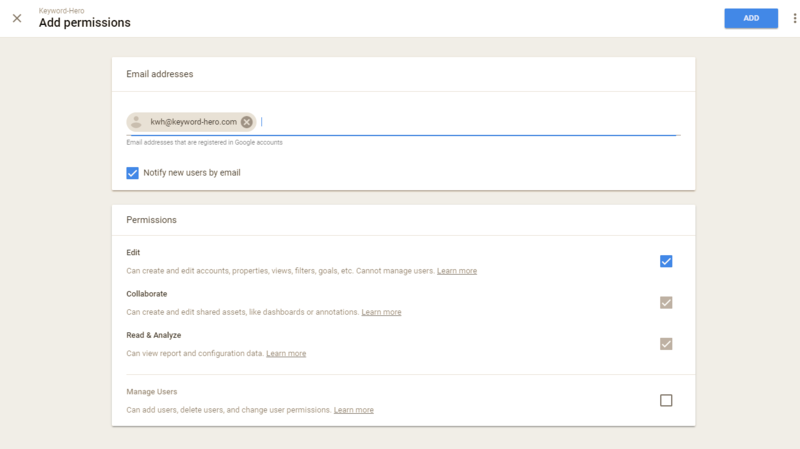 You can create the upload property in a new Google Analytics account, such as your personal account or your agency account (just select in the leftmost column in Log Hero). Change the Google account, so use a different email (click the button CHANGE ACCOUNT). If everything else fails, you can just open a new GA account. I can't get edit permissions. What can I do?